Is It About Dabbing a Bucket Full of Make Up? It’s been a common observation that our Indian women are not really fond of the bling and shimmers, in comparison to their counterparts. It’s not that they do not apply makeup or avoid visiting to a beauty parlour, but yes, not the way in comparison to their counterparts. According to one of the professional artists, many of my clients are interested in makeup, but for some odd reason they entertain conventional mindset that application of excess makeup is likely to harm their skin, which has nothing to do with reality. There’s nothing to put on a mental block with makeup. 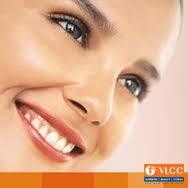 It’s no stone carved rule that application of makeup is likely to affect the skin in the long run. It indeed rewards an individual to look the way as she intends to. But yes, the only piece of advice is instead of getting makeup done by any ‘so-called’ artists and later regretting in the future; keep a check over what products are you applying on your skin. One-trick-suits all thing do not have a right approach. This is where the major difference lies in. If you happen to use any random makeup product, things are likely to worsen and later, the only solution left would be to resort to different skin or acne treatments. So what can be done is get in touch to a professional artists, who initially checks the skin type and latter recommend products in conjunction to the same. Not everyone is blessed with the same skin type; some has dry skin, whereas others have oily skin texture. Though it do not makes much difference in a lay man’s term, but surely leave terrible consequences, if neglected in any way. A few cosmetic products such as concealer, blusher, beige colour lip shade, mascara are a few ‘must-have’ of a girl’s makeup kit. So, if you happen to be using any random cosmetics by now, get in touch with a professional and things are likely to make you observe magical difference.